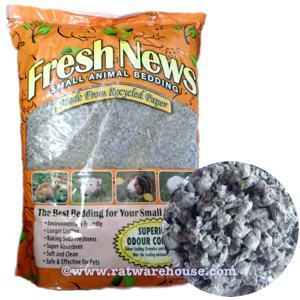 Fresh News Small Animal Bedding is made from 100% recycled paper with a touch of bicarbonate soda (0.1%) integrated into the pulp for added odour control. It is a nice, soft and absorbent substrate which is great at keeping smells down. It is 99% dust-free and 100% non-allergenic. 10L bag.